Previous PostPrevious Three-Course Tasting and Educational Seminar at Disneyland’s Ballast Point! Whether you are preparing for your first or your 21st Disney trip, it seems there are words in the Disney lexicon that are used repeatedly by Disney fans that you might not know — but need to! Do you know who or what the Orange Bird is? To help you navigate your way around the park planning process we’ve collected some of the classic Disney-speak words and acronyms that only serious Disney fans use. 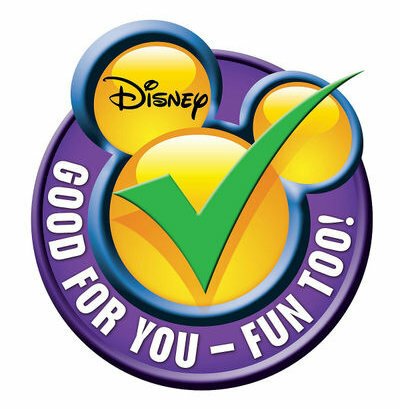 These are the initials for the Walt Disney World theme parks: Magic Kingdom, Disney’s Hollywood Studios, Hollywood Studios, Disney’s Animal Kingdom, and Animal Kingdom. Occasionally you may see EP representing Epcot. Cast Member refers to any Disney employee. This refers to any area that is off-limits to park guests. 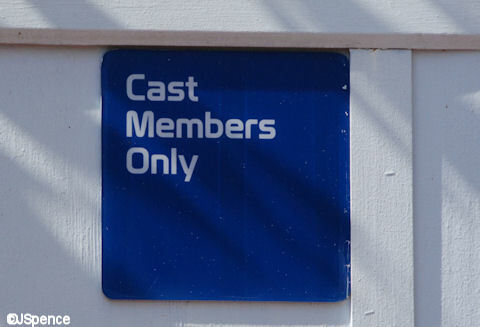 This is usually indicated by a “Cast Members Only” sign on a door. However, you can access the backstage area on several Disney World tours to see the inner workings of and what it takes to run the theme parks. For some people this is the most important part of the day. Rope drop is when the parks open and there is generally a mad dash to be among the first in line for the most popular rides. At Magic Kingdom it may be Space Mountain, Seven Dwarfs Mine Train or Peter Pan’s Flight. At Epcot it may be Test Track, Mission: Space, and Soarin’ Around the World. Animal Kingdom will find the “rope drop dashers” running to Flight of Passage and maybe to Expedition Everest. And Hollywood Studios’ rope drop locations will be anything in Star Wars: Galaxy’s Edge starting August 29! Have people asked if you have your ADRs yet? That’s Disney-speak for Advanced Dining Reservation – which is Disney-speak for dining reservations. On the same note as ADRs – people are sure to tell you to get your FastPasses as early as you can. Those are “reservation windows” for select attractions in the parks. This stands for My Disney Experience. This is your one-stop location to find your ADRs, FastPasses, resort reservations (even unlock your resort room door), ride and attraction wait times, PhotoPass photos and more. You can access this via the Internet or download the app. You will find PhotoPass photographers around the parks ready to take your picture at locations such as Cinderella Castle, outside the Tower of Terror, in Epcot’s France pavilion, and many more (you can find all of the PhotoPass locations in MDE). Memory Maker is the package you can purchase to download all of the photos taken by the PhotoPass photographers during your Disney trip. Don’t want to buy the package, but do want one photo? No problem! You can purchase a print or download of one, two, three, any number of photos individually if that fits your budget better. The Disney Dining Plan is referred to as the DDP. You will see an icon on menus or price lists letting you know the item qualifies as a snack when you are on the DDP. Disney Check is an icon you will find on kids’ menus. 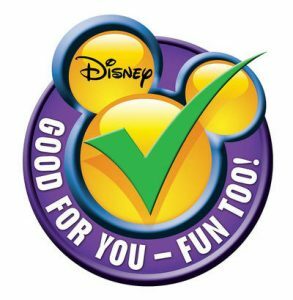 This means the item or meal has met Disney Nutrition Guidelines that limit calories, saturated fat, sodium and sugar. 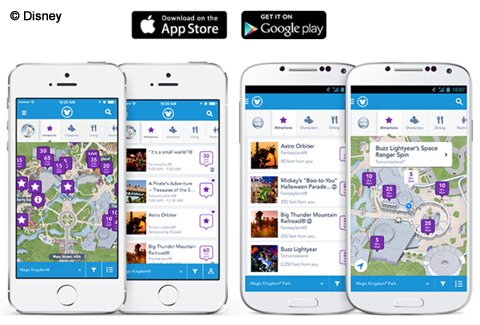 Disney categorizes their dining locations in two general categories Quick Service and Table Service. Generally quick-service locations are walk-up carts, windows, or counter-service locations — what you might call “fast food” in the real world. Table service is just what it sounds like — any “sit down” location where you are seated and a server takes care of you. Disney is home to quite a few signature dining locations in the parks and resorts. These may qualify as “fine dining” or even “fancy dining” when you are at home. Think things like steakhouses, restaurants with extensive wine lists, high-end seafood restaurants, or even rooftop dining. Events that require a separate admission fee and are not included in your park ticket are referred to as Hard-Ticket Events. This includes Early Morning Magic, After Hours, Mickey’s Not-So-Scary Halloween Party, Mickey’s Very Merry Christmas Party, and H2O Glow Nights. Events such as all of the Epcot festivals are not hard-ticket events since they are included in your admission, but the festivals do have some hard-ticket seminars, meals, and events. Always be sure to read the details about the events to know if they are a hard-ticket event with an extra charge, or are included with your park admission. Extra Magic Hour (EMH) applies to Disney resort hotel guests and guests at select non-Disney hotels on property. EMH generally takes place an hour before a select park opens or an hour after it closes. You have access to certain rides during this time with fewer people in the parks. Be sure to check the EMH schedule on the parks’ time guides when you check in to plan your trip and take advantage of this benefit. 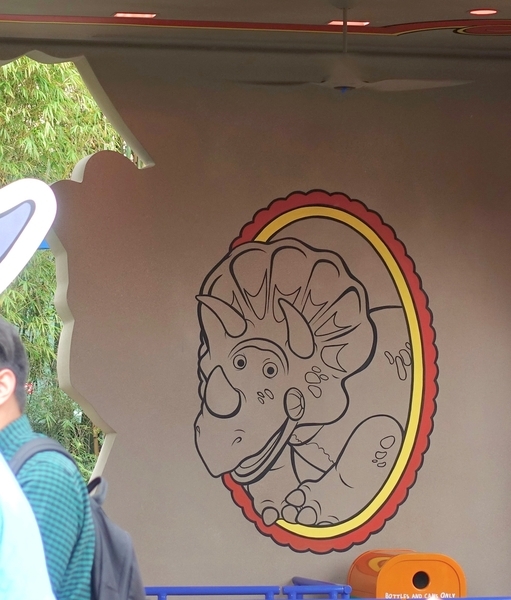 You may hear about or bump into people looking for Hidden Mickeys. If you are staying at the Wilderness Lodge you can even participate in a Hidden Mickey search. Hidden Mickeys are exactly what they sound like – images of Mickey hidden in plain sight! Hidden Mickey Guy Steve Barrett frequently sends us Hidden Mickey updates! A Dark Ride is any ride that takes place predominantly in the dark, uses special or black lighting, and may even be a bit scary. The Haunted Mansion is a classic dark ride. However, on the flip side of that coin you may find some people call Under the Sea — Journey of the Little Mermaid a dark ride – and that is NOT a scary ride. The Ticket and Transportation Center at the Magic Kingdom is sometimes referred to as the TTC. This is where you will go through security and bag check, purchase tickets, pick up will-call tickets, get on and off the trams to the parking lot, and catch the monorail or ferry over to the Magic Kingdom. Quite a busy place! It is likely someone will tell you to get a Dole Whip. 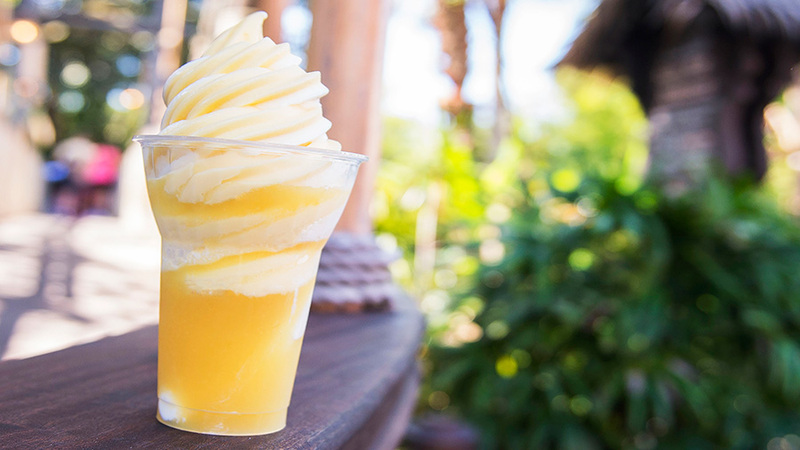 This is pineapple soft-serve served at several locations in Disney World. The most iconic place to try a Dole Whip is the Magic Kingdom’s Aloha Isle. 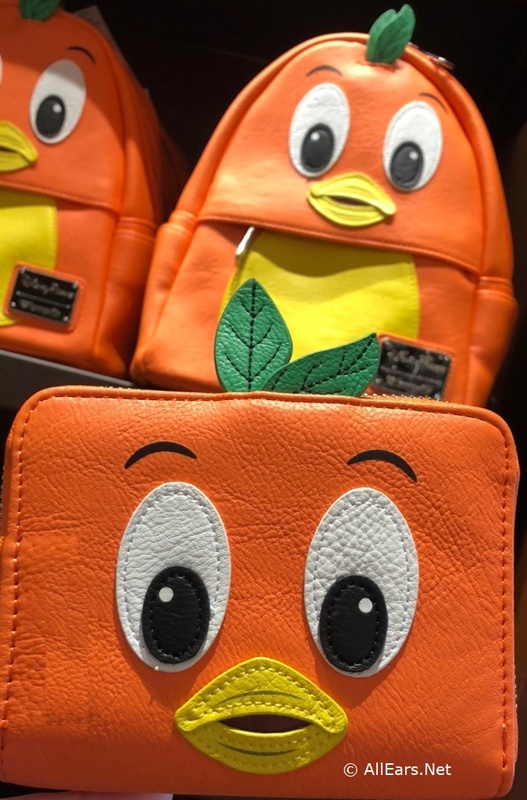 You will see the Orange Bird around Sunshine Tree Terrace. 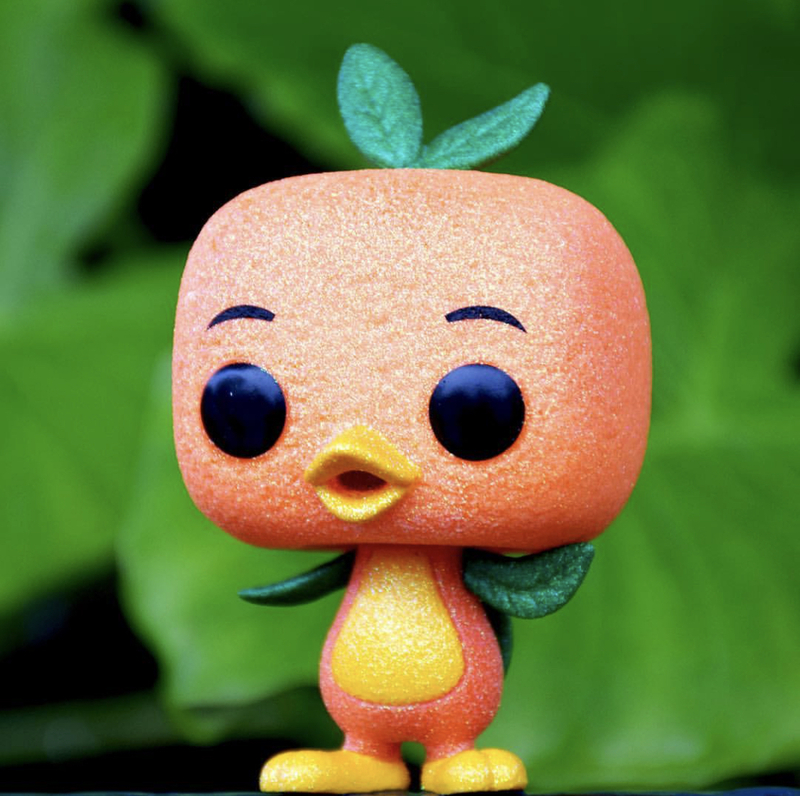 Originally designed by Disney as a mascot for the Florida Citrus Commission decades ago, Orange Bird has had a resurgence in popularity and has become a bit of a cult figure. You are likely to find him on clothes, bags, purses, pins, collectibles, and more! If you are going to Epcot it is inevitable that someone will tell you to drink or eat around the world. This means trying a drink or food in each of the 11 country pavilions in Epcot’s World Showcase. You will see fellow guests with shirts, hats, and even checklists indicating they are doing this challenge. This is the complete opposite of Rope Drop. If you stay in the Magic Kingdom all the way to closing you will get to see the Good Night Kiss on Cinderella Castle and hear a special message from Mickey. We don’t want to give too much away about this since it is fun and special — it’s worth a late night to see this. We hope this helps you translate some of what you may see and read when you’re planning your Disney vacation. Did we leave something out? What Disney-speak word or phrase has you baffled? Let us know in the comments below! And click here to check out our list of Disney Abbreviations and Acronyms for more help! The Hotel Acronyms confuse me. OKW, AKL etc etc. I get them but they take me a minute. I’ve never used Disney Check. That’s a stretch. We still refer to DHS as MGM. ….and Disney Springs will always be the Disney Shopping Village to me.